Pastor Keith Spencer envisions a world where Christ-followers take the lead in loving others towards their God-given potential, inspiring lasting change through the power of personal relationships as we all utilize our unique gifts & talents. 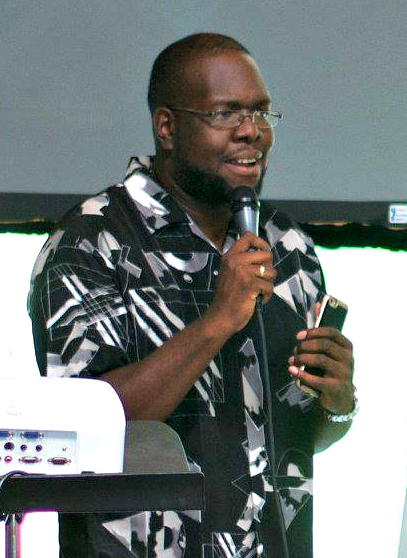 He’s extremely passionate about racial reconciliation and has spent several years of his life empowering students & adults in multiple churches in various regions of the country through his work both in pastoral and lay ministry. Keith was born in Springfield, Massachusetts where he lived until his family moved to Wichita, KS when he was in middle school. A 2004 graduate of Anderson University with a BS in Christian Ministry, he went on to work towards his masters in Divinity, studying both at Anderson School of Theology and Bethel Seminary of the East. Keith served as a youth pastor for five years at South Weymouth Church of the Nazarene before joining the staff at Jubilee Christian Church in Boston until his return to Wichita after the death of his father in 2015. Most recently, he has served multiple congregations and non-profits in Wichita, Kansas as a social media marketing consultant & minister, helping them spread the Gospel online. He is now one of the pastors at United City Church, a new multi-ethnic church plant on the Northeast side of Indianapolis.